The Standing Stone: Little Curragh I, Barrow and Rath, Co. Kildare. Little Curragh I, Barrow and Rath, Co. Kildare. 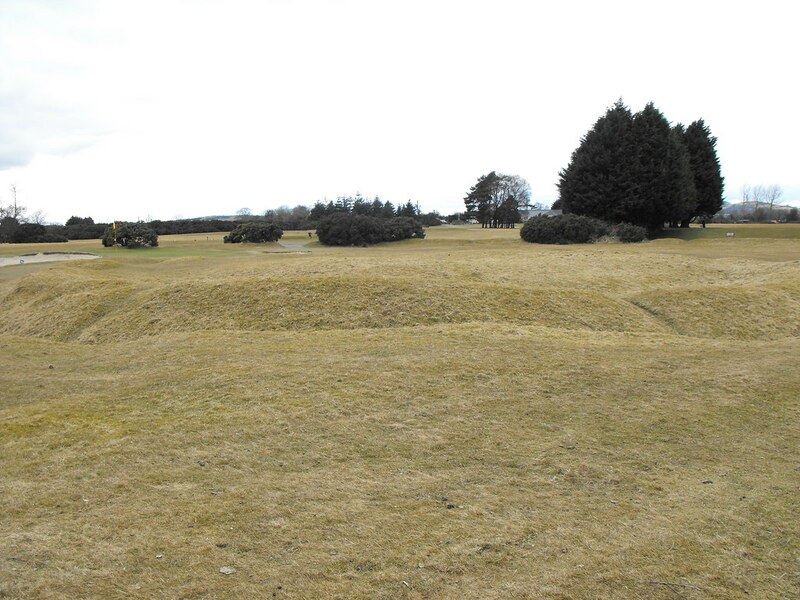 Location – This barrow is the most Southerly of those on Little Curragh and is actually located on the golf course there. It is wedged between two greens. Description and History – This site is by far the most interesting of the barrows in this cemetery because of its series of ditches. Tom FourWinds at Megalithomania has proposed that this barrow was built inside of a rath or that a rath was built around it. This is a very interesting theory and may be accurate as a large ring-barrow such as this would be an almost ready made rath. Adding an extra bank and ditch would make the site even more secure. I would assume the barrow to be the earlier earth work dating to the Bronze Age while the rath could easily be Iron Age or even early Christian. 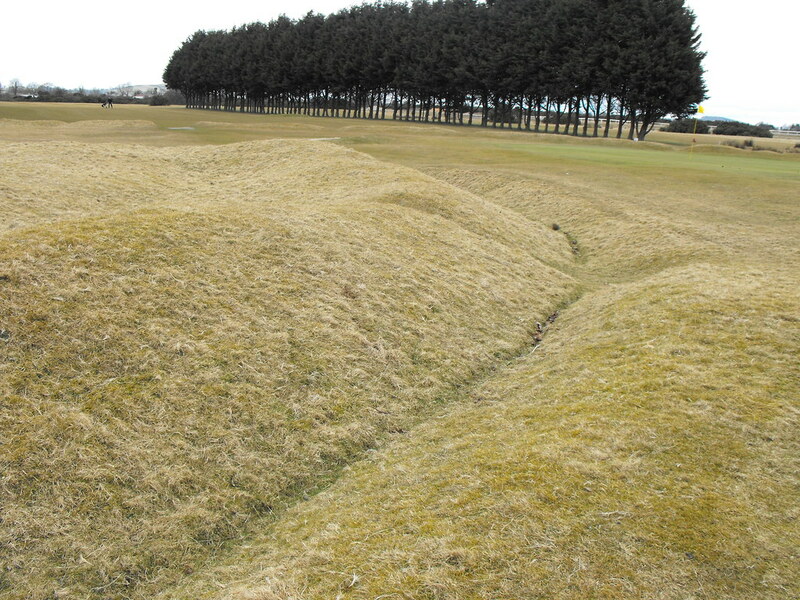 The outer ditch is truly huge and if this was a habitation site then it is huge. Even if it is all part of the barrow structure it is immense. I worked my way backwards from barrow VI to I and this was a good place to finish up. 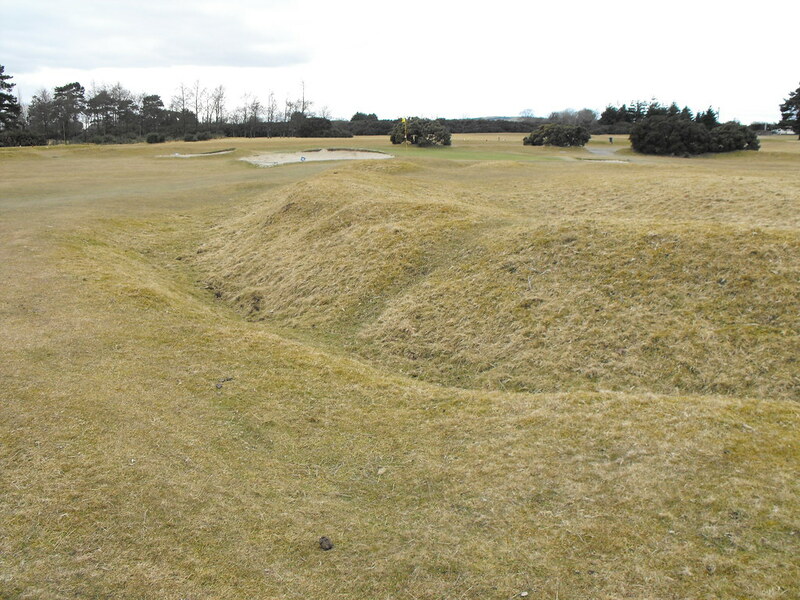 Difficulty – Being on a golf course makes this barrow a little tricky to get to and I did get some puzzling looks from some golfers approaching one of the greens that sandwiches the site. It’s a shame that this site is now merely a golf course feature. I suspect most people walk across it and don’t even realise what it is. For Little Curragh II, click here. You can see that this barrow is huge and you can just make out the outer ditch in the background. The banks is pretty big. 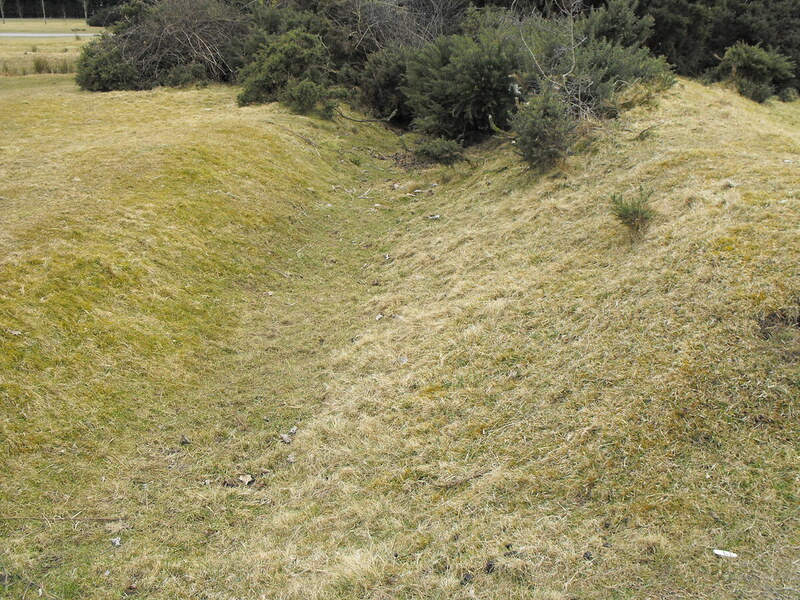 The bank and ditch of the outer rath.